In early November, Martin’s Family Fruit Farm received word that they had just been awarded a grant to adapt their apple chip-making equipment to handle fresh vegetables too. 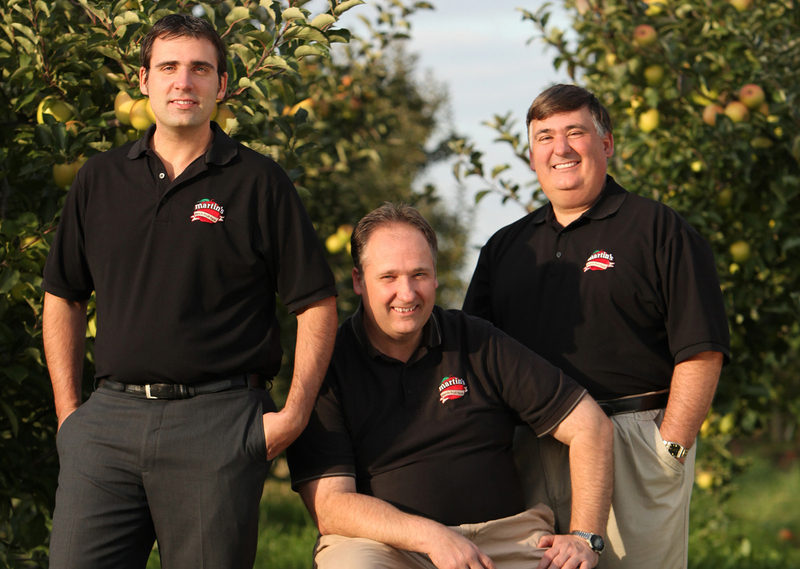 That’s just the latest chapter in the story of an Ontario apple growing business that got its start in 1971 when an exchange student from the former Yugoslavia told Leighton Martin he should plant his entire 100 acre farm in apple trees. He cautiously planted just 100 trees instead and has never looked back, expanding his orchard throughout the 1970s and eventually building his first packing facility in the 1980s. Today, Martin’s grows approximately 750 acres of apples and markets apples for 30 to 40 other apple farmers. It’s still a family business, says Kevin Martin, who is now the company’s president. Today, Martin’s Family Fruit Farm also goes beyond just growing and selling apples. A strategic plan developed several years ago put a focus on value-adding in order to keep the business growing and sustainable into the future. That led Martin’s management team to look into options for value-added processing, which ultimately resulted in their popular apple chips. It’s a product that wasn’t just another offering in the already crowded sauce or juice market, is on-trend with healthy eating, and provided a chance to develop something innovative. After two years of research and development, Martin’s opened their 17,000sq. ft. processing facility in Elmira where they now produce their apple chips. The crispy snack is currently sold in Real Canadian Super Stores across Canada and select Costco, Loblaws, and Sobeys stores, as well as other, independent retailers in eastern Canada – and Martin’s is looking ahead to what is next. They’re already doing some fresh apple slices and pasteurized apple cider, and they’ve launched some new flavours for the apple chips, like chocolate drizzle and cinnamon. The next step, though – and this is where the recently announced government grant comes in – is exploring the possibilities for developing a dehydration method for potatoes, sweet potatoes, and carrots using some of the same equipment and technology already in their plant. The changing climate poses some risks that Martin’s is trying to mitigate by having orchards in various locations and will look to utilize technologies like frost fans. Another challenge is that apples are grown in many areas of the world so it’s important to both understand the potential impact on Ontario’s industry and be able to react to it by continually adapting and evolving.